CatWare Jute Post with 20" Square Base by Ware Mfg. 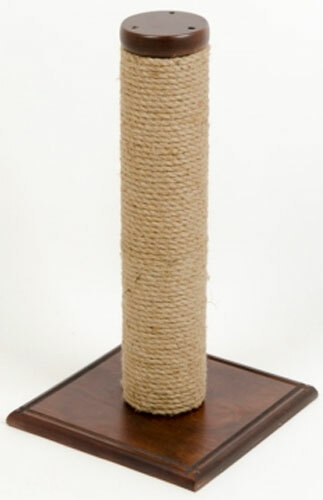 This beautiful scratch post with natural jute rope scratch surface pleases paws, while cherry stained wood base and top match any homes decor. Sturdy base and long 19" post help your kitty stretch and tone muscles while scratching.